Serving excellence since 1854, Louis Vuitton is a luxury brand that stands apart from the rest for the sheer perfection of each product made. 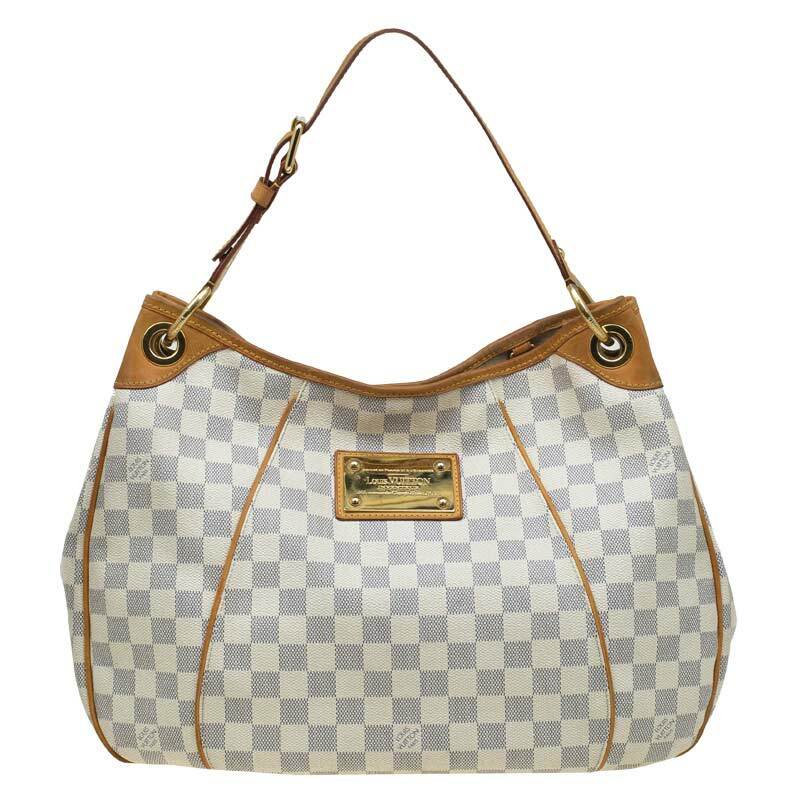 Louis Vuitton bags have been a prized possession for women for many decades, and are unbeaten for their comfort, utility, design and adherence to the latest fashion. Crafted from the finest quality material, these bags are a must-have in any fashionista’s wardrobe. Moreover, the wide variety of the pieces ensures that no matter what your choice is, you will find your perfect Louis Vuitton handbag quite easily. Whether you are a corporate diva, a party animal, a brunch babe or just the casual girl-next-door, LV has the perfect bag to suit all your needs with utmost class and style. So, what are you waiting for? Get ready to delve into the dazzling world of Louis Vuitton bags with the help of our definitive guide on Louis Vuitton bag styles. Are you among the resourceful ladies who carry around their entire world in their handbag? Well, if that’s the case, then the roomy Galliera is the bag of your dreams. Getting its name from a famed fashion museum in the dreamy city of Paris, it is one of the most popular among Louis Vuitton women bags. The Galliera has a curved rectangular shape and its body is usually characterized by the trademark Louis Vuitton monogram, although it is available in multiple designs. This classy women’s handbag has leather trims and the shoulder strap is small, made of pure leather. The bag has a magnetic enclosure securing the main compartment. The Galliera has specially been designed for everyday use and is perfect for work or a shopping spree. The bag is available in three major sizes, namely; PM, GM and MM; in increasing order of size. Find one for yourself here. A pure classic, the Alma bag was introduced as early as 1930, and was named after a bridge in the city of Paris. The distinctive quality about this bag type is that its shape, being that of an elongated curved rectangle, gives the bag a rigid and hence, extremely sophisticated appearance. It is one of the oldest Louis Vuitton women handbags and has been carefully curated by designers who swear by subtle yet unique style. With short length double shoulder straps and a double zip closure, the bag is quite spacious. Buy your favourite Alma bag here. The Neverfull has all the space and style for you. Available in all three basic sizes, PM, GM and MM, Neverfull is the celebrity of the lot. Why, you ask? For the simple reason that it is the most multi-purpose bag you will ever find, and what’s more, it is extremely easy to carry around and is super trendy! The Neverfull has been a favourite since it was introduced in the year 2007, and its popularity has resulted in the creation of several limited-edition designs under its name like this Stephen Sprouse Roses Limited Edition Neverfull bag. It is a long, sleek bag which is shaped like your regular shopping tote. The double short shoulder straps have been designed for comfort and it is perfect for daily use. You can find it in epi leather, monogram canvas, and various other leather types. Shop for your next Neverfull here. This one’s for the purely feminine divas who swear by their handbag and carries only the best of the best. A dainty and chic take at the classic handbag, the Bowling bag has two variations. The Bowling Etoile comes in the trademark monogram canvas and has a zipped main compartment. The Bowling Montaigne is a part of the Epi leather collection and is a sturdier version of the original Bowling Etoile. It is used by many ladies as their favourite travel companion, due to its durability and timeless style. Find one for yourself here. Originally created as a travel bag for people in the early 1930s, the endearing Speedy has evolved to perfectly fit in with modern fashion. The monogram canvas has appealed to women all through the years and is still very popular and easily recognised. It is available in four distinct sizes (25, 30, 35, 40) and its primary purpose is to provide utmost comfort and practicality. It has a wide opening to easily accommodate all your belongings, and in addition to the shoulder handles, it has a cross-body strap for your busy days. Find a Speedy that suits you from a wide collection here. This one is for the girl-next-door, and can easily be carried around to work, casual brunches and even shopping! The bag is characterized with a trendy design having inverted pleating at the front, and a sleek cross-body strap in addition to short shoulder straps for comfortable usage. In addition to having a breezy appearance, the bag is extremely spacious and can easily fit all your knick-knacks. Shop from a wide range here. This one gets its name from the renowned city of Tivoli in Italy, and has been carefully crafted for the ultimate fashionista. It has been wooing women since 1896 and has been quite a knight in shining armour, as far as women shoulder bags are concerned. It has an inverted pleating design and is decorated with leather trims. The zipper is usually gold-toned in most variants. Available in sizes GM and PM, the bag is quite spacious and has a zipped main compartment. Find the best deal for your next Tivoli here. Well, that’s our list of LV bag styles, folks! Louis Vuitton houses a sea of bags and there are countless other breathtaking designs just waiting to be explored by you! All you have to do is decide your requirements and then start the search for that perfect piece , which will undoubtedly become your favourite! We surely can trust Louis Vuitton to make our lives much easier, organized, and stylish, right? Happy shopping ladies!